A couple of days following the storm in the teacup show by the National Democratic Congress (NDC), pertinent questions have popped up. There is no doubt that it was their worst performance yet since taking their rightful place in opposition ranks. After all, it was the decision of Ghanaians that they be so relegated. As to whether they are learning important lessons so far that remains doubtful. 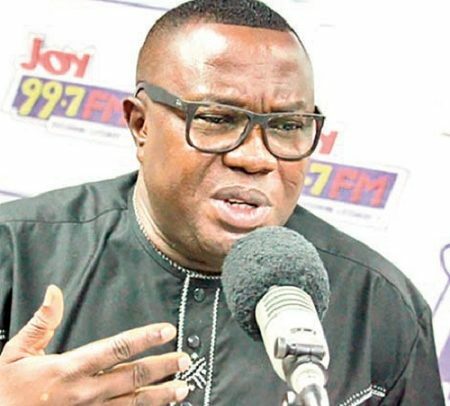 While addressing a press conference on Thursday which was characterized by heckling and shouts intended to disrupt the activity by ironically party supporters, foot soldiers if you like, party Chairman Ofosu Ampofo displayed an assault firearm- the notorious AK 47, alongside some ammunition. As a firearm whose ownership is restricted to the security services, especially the Police, the NDC Chairman should have turned in the weapon to the law enforcement agency, Criminal Investigations Department (CID) instead of the populist show associated with the display at the press conference. It would interest the Police and Ghanaians to determine the origin of the firearm since no private person would have the weapon registered as would other firearms like the pump action gun. Since all firearms of the caliber of the AK47 and others bear serial numbers, it would not be an impossible task for the police to profile the weapon. We also find it intriguing that somebody who is armed with an AK47 would have the firearm snatched away by another person so easily. Put alternatively, an armed man wielding an AK47 stands idly as his firearm is snatched away from him by an NDC activist without resistance. It is difficult to attach a ‘credible’ tag to this claim by the Party Chairman more so when he and his political grouping are not known to speaking the truth. We as well as the Police should be interested in knowing where the weapon is currently. Not being in the custody of the law enforcement agency but in the NDC’s, speaks volumes about the state of lawlessness of the opposition party. We expect the Police to invite the Party Chairman to produce the weapon and to explain the circumstances under which it found its way in the custody of the NDC because the claim of seizure from NPP activists is balderdash. We are tempted to believe that the displayed AK 47 is part of the cache of firearms in the private armoury of the NDC, something national security managers should be interested in at this time. After all, we are dealing with a party which boasts of mastery of violence. We are also interested in the Police finding out the kind of weapon fired at the Police when law enforcement officers went to the house of the NDC candidate. Perhaps answers to these posers would emerge when sister Tiiwa, Director-General, CID completes the assignment bestowed upon her by the IGP. Openly displaying an AK 47 at a time when the proliferation of small arms poses a National Security challenge, is a matter which should not be brushed under the carpet.